6 Week Kitten Falls Asleep with Two Dalmatian Dogs! 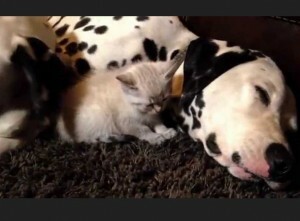 A sweet little kitten falls asleep with her big Dalmation dog friends. That only shows how friendly the Dalmatians (from Croatia) are!